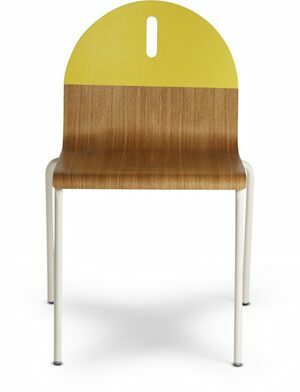 Serena is a collection of chairs, with or without arms and lounge chairs with four different back heights, and barstool. All versions are available with ottoman. The design is constructed from Ecolignus Wood which can be used in covered exterior applications. The back and seat bands are offered in various colors. Rocker high back lounge chair with arms, upholstered seat and back and solid oak wood frame.